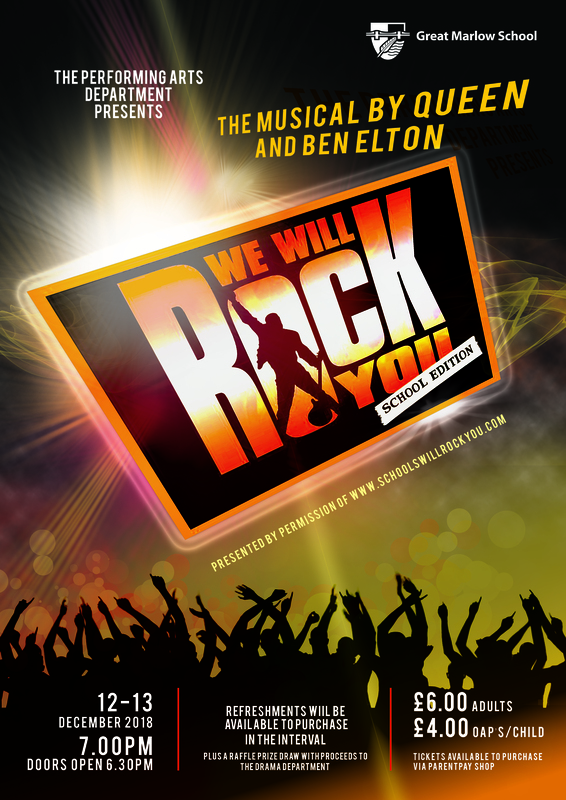 This year’s Christmas production by GMS’s Performing Arts Department is ‘We Will Rock You’ music by Queen and written by Ben Elton. It will take place on Wednesday 12th and Thursday 13th December 2018. The performance will start promptly at 7.00 pm and doors will be open from 6.30 pm. A prize raffle draw will take place during the interval. 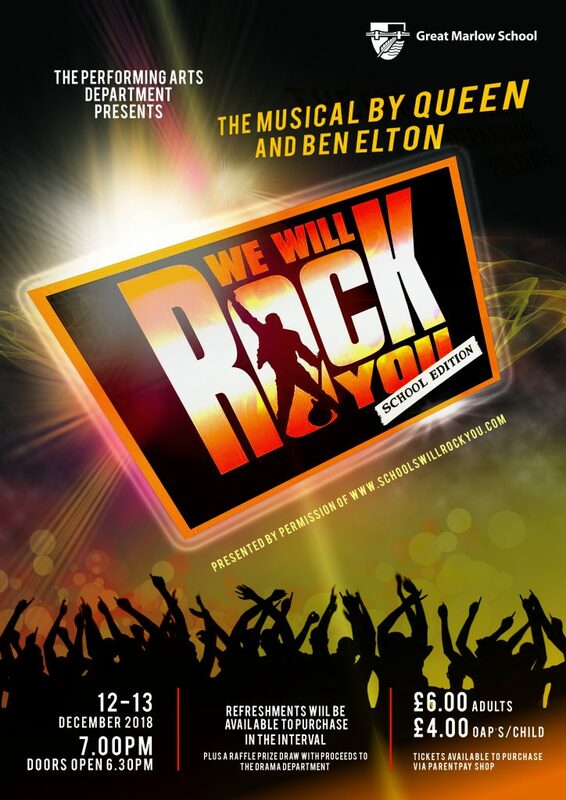 The £6.00 adult tickets and £4.00 OAP/children’s tickets are available to purchase via ParentPay Shop. Please make sure you select the correct performance at the time of booking. It is advisable to book early as these performances sell out quickly. Refreshments, provided by FoGMS, will be available to purchase in the interval. The whole evening promises to be a huge success. GMS congratulate the staff and students, who have worked so hard to make this evening of music and dance memorable for the participants and audience.